Looking for a good Buenos Aires travel guide? 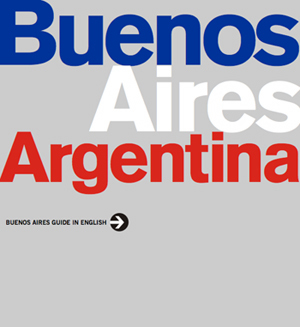 The Government of the City of Buenos Aires has published a handy, 26-page travel guide that you can download and print before your trip. The guide, which is in PDF format, contains all kinds of useful information for tourists. Topics include, museums, sports, festivals, neighborhoods, getting around the city, restaurants, and accommodations. It also gives basic, essential information such as important telephone numbers and addresses. The guide offers a good introduction to the city for first-time travelers. And best of all, it’s free. You can download the English-language version of the guide here. The guide is also available in other languages at the gobBsAs website.